Germany has been flexing its economic muscle while remaining deeply reluctant to use military force – acting as a “geo-economic power”. The response to Russian aggression in Ukraine has not changed that. Since the Ukraine crisis, many observers have perceived a dramatic change in German foreign policy. According to some analysts, Germany has even rediscovered “geopolitics”. Even if there had been a “primacy of economics” in German foreign policy before the Ukraine crisis, that had been a temporary aberration, and the “primacy of politics” had now been restored. That in turn showed that Germany was not really a “geo-economic power”, as I argued for the first time in an essay that appeared in the Washington Quarterly exactly five years ago. I had “improperly extrapolated from the foreign policy of Chancellor Angela Merkel’s CDU-FDP coalition government between 2009 and 2013,” as Hanns W. Maull put it at a discussion at the German Council on Foreign Relations (DGAP) in Berlin in February 2015. But is it really that simple? Or could it be that Germany is still a “geo-economic power” after all? First of all, it is worth recalling why I tried in that first essay in the summer of 2011 – in the middle of the acute phase of the euro crisis and shortly after Germany had abstained in the United Nations Security Council on a vote on military intervention in Libya – to find a new concept to describe Germany as an actor in international politics. Before reunification, and even in the first decade after it, the Federal Republic had come closer than any other state (apart, perhaps, from Japan) to the ideal typical role of a “civilian power” that Maull had described in 1990. But in the context of the changes in German foreign policy after 2000, this concept no longer seemed to capture Germany as an actor. 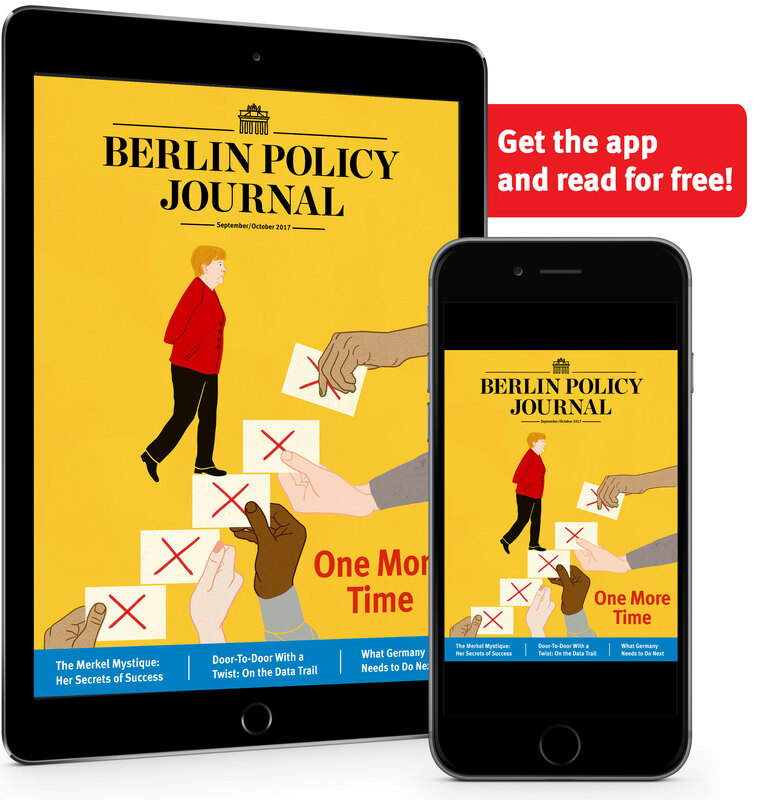 Yet at the same time, Germany was a long way away from becoming a classical great power with a “normal” attitude toward the use of military force, as some realist theorists such as John Mearsheimer had feared it would after the end of the Cold War. Whether or not Germany is still a “geo-economic power” depends crucially on how exactly one understands that term. It was not entirely clear in that essay in 2011, because I did not distinguish sufficiently between two meanings of the concept. A “geo-economic power” in what might be called a “hard” sense is one that uses economic means to pursue strategic objectives. This is the definition that Edward Luttwak had in mind when he coined the term “geo-economics”. A “geo-economic power” in what might be called a “soft” sense, on the other hand, is one that simply pursues economic objectives. The contrast between a “primacy of economics” and a “primacy of politics” is based on this second definition – it is about the ends rather than means. It seemed to me that, even before the Ukraine crisis, Germany was already acting as a “geo-economic power” in a “hard” sense within Europe because it was willing to use its economic power to impose its preferences on other eurozone countries, particularly since the crisis that began in 2010. 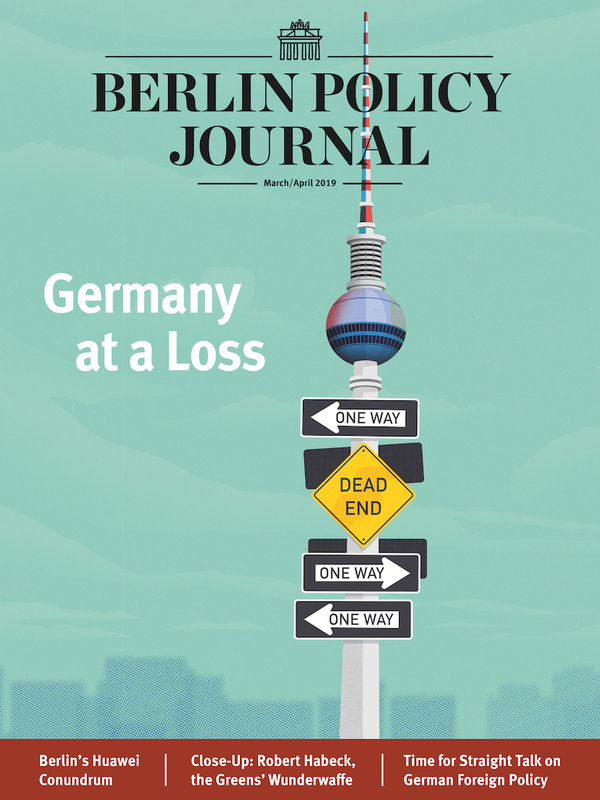 In particular, with the help of financial markets, Germany had used strict conditionality in order to force countries of the so-called periphery to implement structural reforms. But beyond Europe, it had seemed to pursue economic rather than strategic objectives – in other words, it seemed to be a “geo-economic power” in a “soft” sense. In my essay, I wanted to explore this unusual mixture of economic assertiveness within Europe and military abstinence beyond Europe, which was particularly striking after the abstention on Libya in the UN Security Council in the spring of 2011. 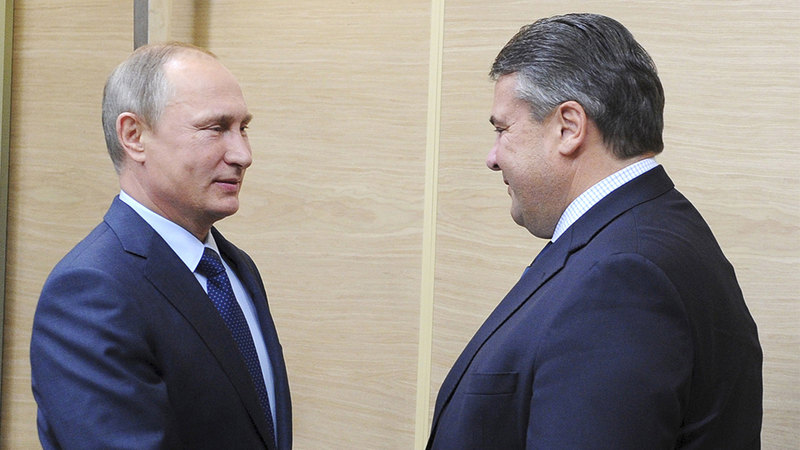 German policy toward Russia has certainly changed since the Ukraine crisis began. Going back to SPD Chancellor Gerhard Schröder’s time in office, Russia had been the paradigmatic case of a tendency in German foreign policy to pursue economic objectives beyond Europe. But after the annexation of Crimea, Chancellor Merkel was prepared to overrule large sections of the German business community and impose tough sanctions against Russia. Thus Germany’s subordinated its extensive economic interests in Russia to the strategic interest of protecting the European security order, now under threat from Russian revisionism. In other words, Germany’s response to the Ukraine crisis seemed to suggest it was re-prioritizing strategic objectives over economic ones. It is not yet clear whether Germany has the stamina for this new, tough strategy toward Russia. Could it be that my critics are themselves extrapolating from the current moment in German foreign policy? What will happen, for example, when Merkel is no longer chancellor? Moreover, the new toughness of German Russia policy is based almost exclusively on economic means. While Merkel supported sanctions against Russia, she blocked various other attempts to use military means as part of a new strategy of containment against Russia. For example, ahead of the NATO summit in Wales at the beginning of September 2014, Berlin opposed plans to create a permanent presence in Central and Eastern Europe. In February 2015, when a debate started in the United States about providing direct military assistance to Ukraine and reports suggested that the Obama administration was taking a “fresh look” at the issue, Merkel immediately and publicly opposed it. To be clear, the point here is not whether German policy was right or not, but that even after the Ukraine crisis, Germany continued to be very reluctant to use military means. The strategic shock of the Ukraine crisis did lead to a new focus on defense policy, but it is not yet clear what its outcome will be. In January 2016 Defense Minister Ursula von der Leyen asked for an investment of €130 billion in defense equipment over the next 15 years. Even if this sum is actually approved, defense spending as a proportion of GDP will not significantly increase, let alone reach the 2 percent NATO target – about which von der Leyen has long expressed skepticism. Some security policy analysts argue that this figure does not tell us much and we should therefore focus instead on capabilities. But in terms of capabilities, the picture is not much better. Much of the extra spending that von der Leyen is asking for will be used to repair existing equipment: as a series of reports have revealed, only a fraction of Germany’s jets, tanks, and helicopters are operational as a result of cuts in spending on maintenance since 2010. It is often also pointed out that in the last two years Germany has made a significant military contribution to the fight against the so-called Islamic State. For example, in the summer of 2014 Berlin supplied machine guns, anti-tank rockets, and five armored personnel carriers to the Kurdish Peshmerga in northern Iraq and sent 150 Bundeswehr soldiers to train Kurdish security forces. After the terror attacks on Paris in November 2015 Germany provided six reconnaissance Tornados and sent a frigate to the Mediterranean to support France, and expanded the deployment of the Bundeswehr as part of the UN mission in Mali, to which it has contributed since 2013. But what exactly is new about these steps, apart perhaps from the supply of weapons to a “conflict region”, is not clear. After all, the Bundeswehr has taken part in peacekeeping operations since the 1990s and even took part in combat operations in Afghanistan and Kosovo. Thus it seems that Germany has not so much rediscovered geopolitics (as some have claimed since the beginning of the Ukraine crisis) as discovered the hard version of “geo-economics”. Berlin may now be re-prioritizing strategic objectives over economic ones and therefore may be becoming a “harder” kind of geo-economic power beyond Europe. But it remains skeptical of the use of military means. Moreover, even this shift from economic to strategic objectives seems for the moment to be limited. While the Ukraine crisis shattered illusions about the possibility of “partnership” with Russia, German policy vis-à-vis China – now a much bigger export market than Russia – remains to a large extent based on the same assumptions on which policy towards Russia was based. In other words, Germany’s new hard “geo-economic” approach only seems to apply to Russia policy. In addition, Germany continues to assertively use its economic power within Europe in order to impose its preferences on others. Indeed, in the summer of 2015, Germany seemed to go even further than it had earlier in the euro crisis. After the July 2015 summit, at which German Finance Minister Wolfgang Schäuble threatened Greece with a “time-out” from the euro, Belgian economist Paul de Grauwe said that a new template for eurozone governance had been created: “submit to German rule or leave.” Germany has also sought to use economic means to get what it wanted in the refugee crisis – in this case, a “fair” distribution of refugees within Europe: Interior Minister Thomas de Maizière threatened to cut EU funds to those countries rejecting binding quotas. Once again, the point is not whether German policy in this case was right or wrong, but rather how Germany exercises its power. Thus the shift in German foreign policy since 2014 is neither as simple nor as dramatic as is often claimed. Unlike in the past, Germany is now acting as a “hard” geo-economic power in relation to Russia, although it is not clear that it will continue to do so forever – in particular, the Nordstream II gas pipeline project shows that the old tendency in Germany’s Russia policy still exists. Elsewhere in the world, however, Germany is still acting largely as a “geo-economic power” in the “soft” sense – in other words, as a power that primarily pursues economic objectives. Meanwhile Germany is continuing to use economic means to impose its preferences within Europe. German foreign policy continues to be characterized by the same contrast between economic assertiveness and military abstinence to which I pointed in my essay in 2011. Five years on, the description of Germany as a “geo-economic power” seems to me to still fit. Hans Kundnani, “Germany as a Geo-Economic Power,” The Washington Quarterly 34:3, Summer 2011, 31–45. Hanns W. Maull, “Germany and Japan. The New Civilian Powers,” Foreign Affairs 69:5, Winter 1990/91, 91–106. John J. Mearsheimer, “Back to the Future: Instability in Europe after the Cold War,” International Security 15:1, Summer 1990, 5–56. Edward Luttwak: “From Geopolitics to Geo-Economics,” The National Interest, Summer 1990, 17–24. For the US debate see Michael R. Gordon and Eric Schmitt, “US Considers Supplying Arms to Ukraine Forces, Officials Say,” New York Times, February 2, 2015. On Merkel’s opposition to sending arms to Ukraine see Michael R. Gordon, Alison Smale, and Steven Erlanger, “Western Nations Split on Arming Kiev Forces,” New York Times, February 7, 2015. Tweet by Paul de Grauwe (@pdegrauwe), July 12, 2015. 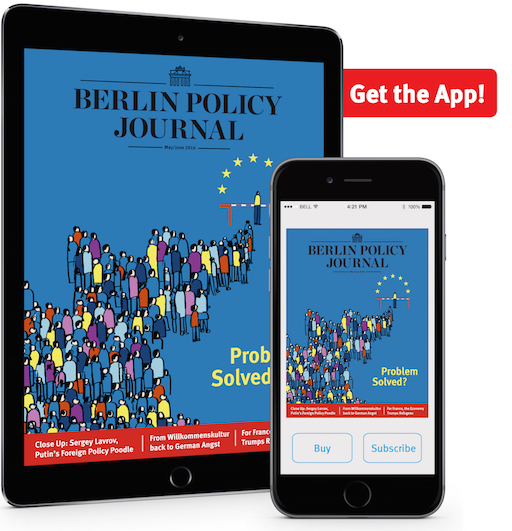 Read more in the Berlin Policy Journal App – May/June 2016 issue. is a Senior Research Fellow in the Europe programme at Chatham House in London.